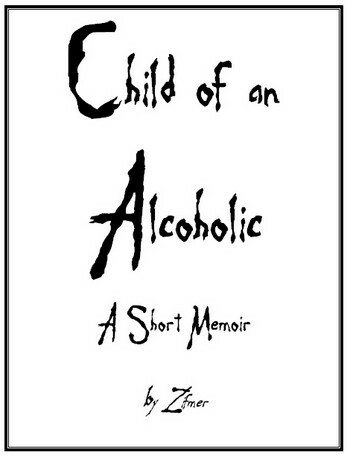 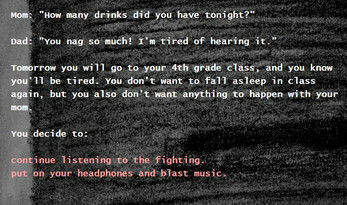 "You are lying in bed and holding your six-inch knife while listening to your parents fight in the living room..."
Child of an Alcoholic is based on the real-life experiences and memories of a child growing up with a father who drinks. 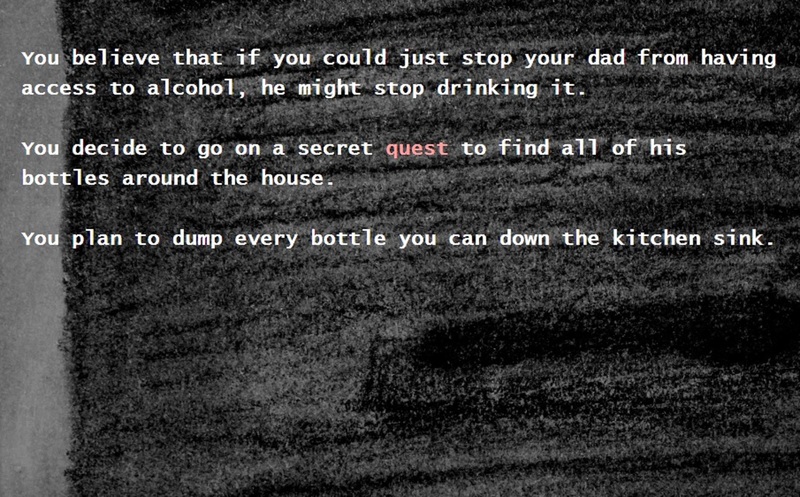 Make your own clickable decisions for what you wish to remember as you make your way through this dark story. 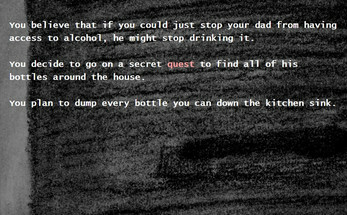 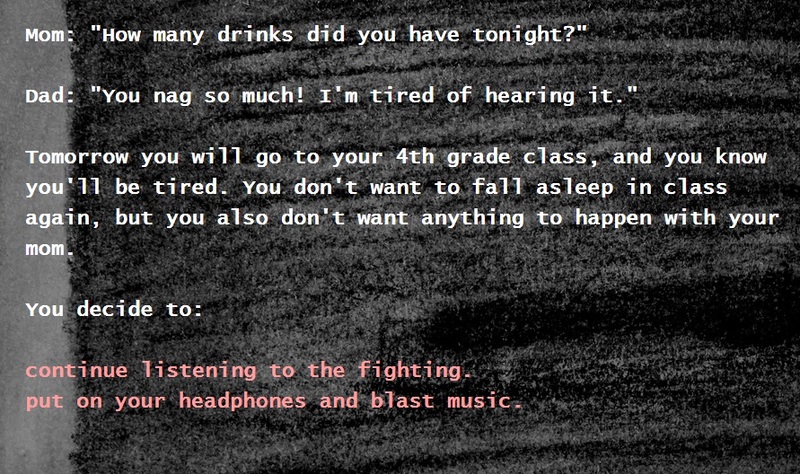 "On a hot and boring day, you decide to turn your dad's alcoholism into a game..."